Living at The Grove Resort Residences means having the magic of Walt Disney World just minutes from your doorstep. It’s the perfect place to turn every day into a fairy tale for you and your family. 2017 promises to be the best year ever for Disney with new rides, new attractions and exiting special events. The biggest news of 2017 is the opening of Pandora in Animal Kingdom. This deeply immersive experience takes guests on a riveting journey into the heart of the planet Pandora from the movie Avatar. Don’t miss this opportunity to navigate an exotic, alien world filled with breathtaking sights and sounds. 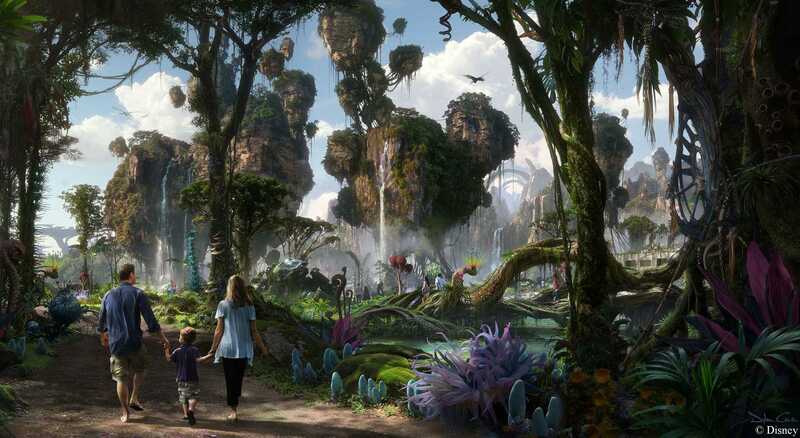 One of the biggest draws of the new attraction is Flight of Passage in which guests can take a virtual reality ride on a banshee through Pandora’s mythical floating mountains. Walt Disney himself would be proud of this stunning addition to his namesake theme park. Another exciting newcomer to Disney is The Music of Pixar Live! – A Symphony of Characters at Hollywood Studios. Guests get to take in their favorite Disney/Pixar films on the big screen while a live orchestra plays accompanying music. And for an encore, the Pixar characters themselves take the stage and sing some of their favorite tunes along with the audience. The Music of Pixar is an extravaganza of sights and sounds that is as fun for parents as it is for kids. SeaWorld has unleashed its groundbreaking new roller coaster, The Kraken. This floorless mega coaster lets the rider’s feet dangle below as they race through underwater canyons into the deep abyss where the legendary Kraken resides. Few ride experiences can match the sheer exhilaration of the Kraken as passengers reach highway speeds in open-air cars at over 150 feet in the air. Fasten your seat belt, the Kraken has arrived at SeaWorld! Stay tuned to keep informed about all the exciting development at Disney, in Orlando and in your neighborhood at The Grove Resort Residences in Orlando!